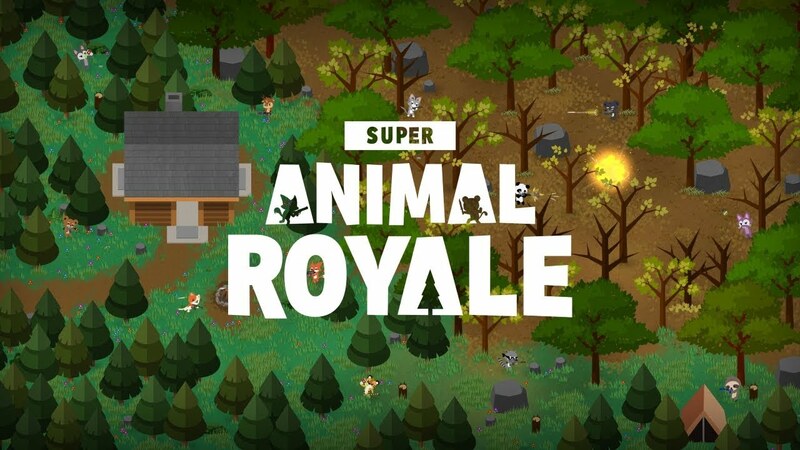 Home / Entertainment / gaming / PC / Steam / GET READY FOR WORLD WAR ZOO: SUPER ANIMAL ROYALE HITS STEAM EARLY ACCESS ON DEC 12. GET READY FOR WORLD WAR ZOO: SUPER ANIMAL ROYALE HITS STEAM EARLY ACCESS ON DEC 12. Well, now that’s out there, I suppose we have to do it. Well played, heavily armed animal militia, well played. Sat 1st Dec: North America server 12 noon – 9:30pm PST! Click here to see the time in your location. Sun 2nd Dec: Asia server 2pm – 7pm Singapore time! Click here to see the time in your location. The final beta test weekend will take place the weekend before launch: December 8th and 9th. Players who do not yet have a Beta key should join the Super Animal Discord server and head to the #keyme channel starting 30 mins before each play test, or any time while the Beta is live. Once there, players can type !keyme and Pixile’s trusty key delivery bot, Dukey Bear, will deliver them a key (while supplies last). Super Animal Royale is a top-down multiplayer survival shooter for up to sixty-four adorably murderous critters. Engineered to charm and trained to kill, Super Animals are cute enough to make you go “Aww” and deadly enough to make you go “Ahhhh!” Select your favorite from a menu of foxes, pandas, kitty cats, and other bloodthirsty beasts. Parachute into the ruins of an ill-fated safari park and fight off a lethal barrage of bullets, explosives, and silly dancing. Enjoy carefully balanced run and gun gameplay combined with an intuitive fog of war system that restricts a player’s view to line of sight, allowing for sneaky, strategic play. Explore a beautiful 2D world, inspired by classic top-down adventure games. Cut tall grass and loot abandoned structures in search of the guns, explosives and health juice you’ll need to reach the top of the food chain. Players can play for free in the Beta by signing up at AnimalRoyale.com and also pre-order the game for $12.99 USD; the game will be landing on Steam Early Access for PC / Mac on 12th December!